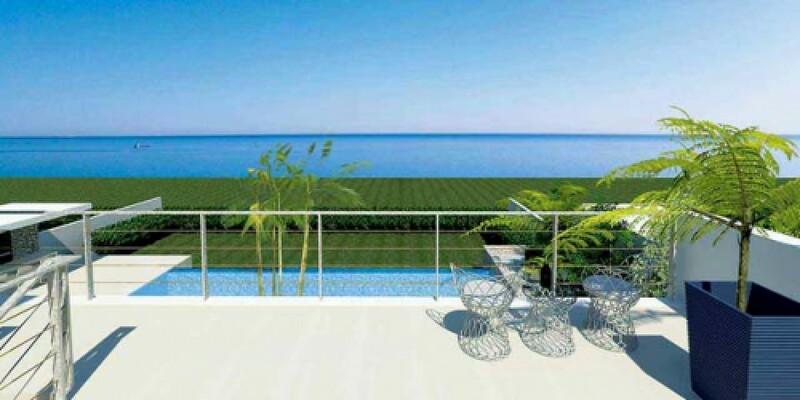 The Larnaca area has a lot to offer with properties for sale of all types and sizes. If you are looking for peace and tranquility and want to be close to Larnaca city, for business or your children’s education, there are many coastal villas available with stunning sea views and within walking distance to the beach. Fifteen minutes outside Larnaca is the picturesque area of Pervolia which is also only five minutes away from Larnaca International Airport. Villas available in this area are ideal if you want the best of both worlds as they are extremely close to all amenities, but also offer beautiful sea views in locations that are within walking distance to the beach. One of the projects that is being currently built is near Kiti which has all amenities like supermarkets, gas station, banks and retail shops. These stunning beach front villas are a couple of minutes’ walk from the beach and the properties enjoys stunning views of the Mediterranean Sea.